Pruden's Purple Tomato seeds. Potato leaf vines set out 10 to 16 oz. dark, dusty pink fruits, very similar to Brandywine, only 10 days earlier. Pruden's Purple tomato seeds produce potato leaf vines set out 10 to 16 oz. dark, dusty pink fruits, very similar to Brandywine, only 10 days earlier. 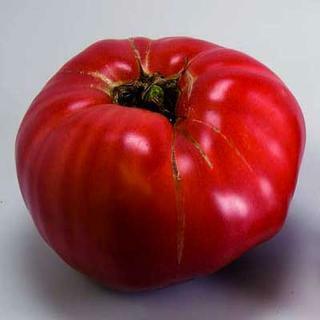 This is another favorite of many tomato enthusiasts. Takes some talent to get good production.